My golfing partner was so impressed with the 'Tee-Up' that he bought one for himself! As good as it looks on your video and wouldn't have any problems recommending your Tee Up system! My ball pickup retriever arrived today and boy its brilliant, better then the last three I have tried. this one really works too. very impressive, the ball marker is of good quality too. Thanks for the swift delivery. Easy to use. 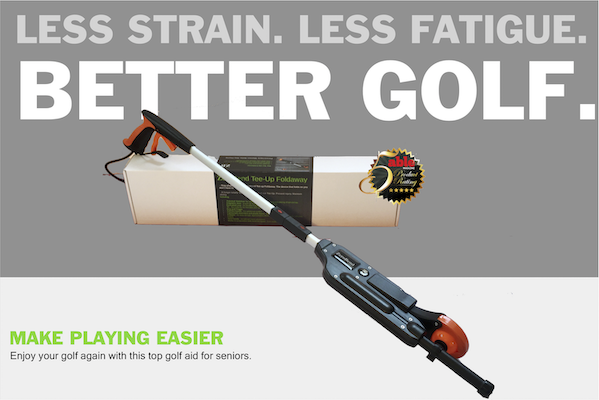 Perfect for anyone with back problems/bending on golf course. Rating: 5*****- The best ball pickup I've ever owned. Easy to fit and easy to use. And a very good price for what it is. Very pleased with the Tee-Up, very well designed and a credit to the inventor. I have rods in my back from my neck to my buttock and am unable to bend over. The Zero Bend makes it possible for me to play the game I love. I cannot say enough good things about this product. I promised to tell you how I got on with my golf aids..they performed superbly. I played a round on Thursday, both devices worked well and impressed my colleagues! I never had to bend over. BAMP was strong enough to pick up an iron! I played without bending over once. I could really tell the difference in the way my back felt during and after the round. I’ve now shot 12x18hole rounds with no discomfort. Thank You for a special product that could help every senior person who uses it. The Tee-up has been a tremendous asset to my golf. Thank you ZeroBend Golf! I have tried other devices, the Tee-up is so much better! Easy to use and light. Once golfers see your Tee Up and if any of them have any back problems they need this! Simply put. The Tee-Up, it's brilliant. I love it! Specialist products to keep you Playing. Manufacturer of bend-free devices specifically designed to get you around the course by helping to reduce pain, stiffness and fatigue. The device that folds so you don't have to. The Tee-Up Foldaway is an extended version of the Tee-Up and is totally bend-free. 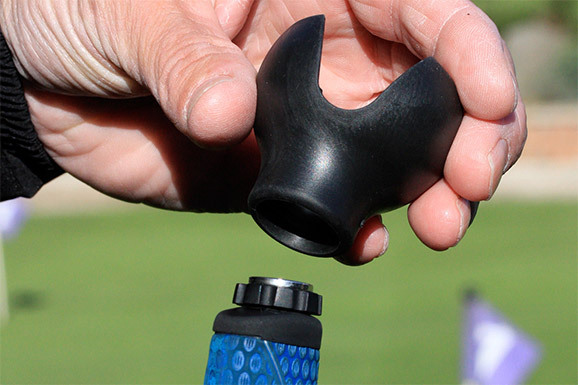 For users who struggle significantly when teeing up the ball. It is regarded by many as the best on the market, already aiding over 2000 users worldwide. 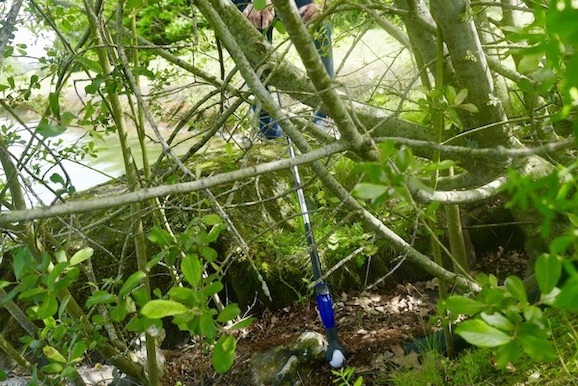 A "5 in 1" Golf Ball Retriever. Save money every time you play by recovering expensive balls. Stay out of harms way with a 7- 8ft retrieval range. This easy use retriever can also repair pitchmarks, pickup ball from the green and hole, help to indicate a found ball position and can be used to keep grips dry when placing a club on the ground.